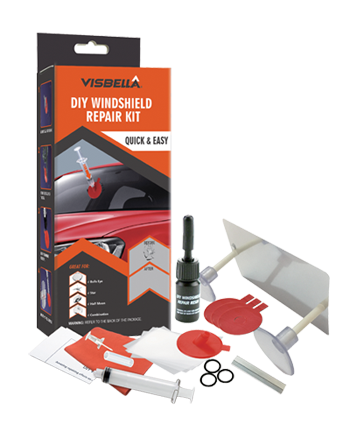 Visbella DIY windshield repair kits allow for easy and quick, professional quality repairs at a fraction of the cost. 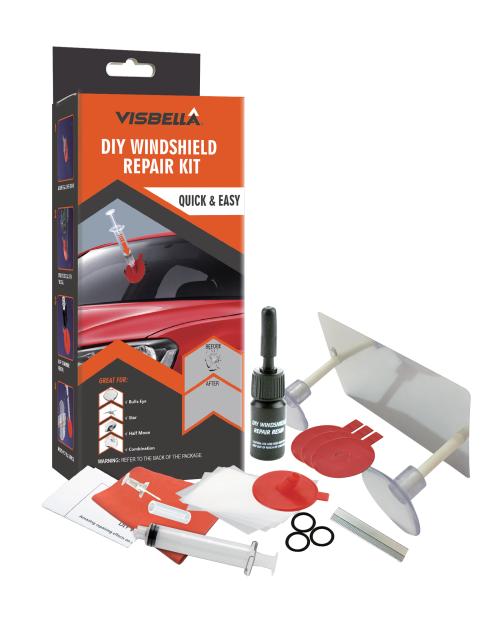 Visbella DIY Windshield Repair Kit is a handy tool to help you repair your car’s broken windshield in just 30-50 minutes. This kit will minimize the appearance of chips and cracks in your windshield and help to prevent them from spreading further. It works by removing air from the break and then fills it with durable resin, making the area even stronger than before. You can achieve easy and quick, professional quality repairs at a fraction of the cost. Can this kit be used to fix longer, thicker cracks? No, this kit is intended for small cracks. Do you need sunlight in order for the resin solution to dry? No, however you would need another source of UV light in order to have the resin solution dry. Sunlight is the most common way to have resin dry. Is this kit for a one-time/ one crack use? Yes, the kit is designed for a one-time use. Is there any preparation I need to do prior to using this kit? As per instruction, clean the area in and around the targeted crack of any contaminates as thoroughly as you can prior to using this kit. What do I do if I accidentally dropped in too much resin? A few extra drops of a resin will not a problem as long as it does not fill over the neck of the pedestal.